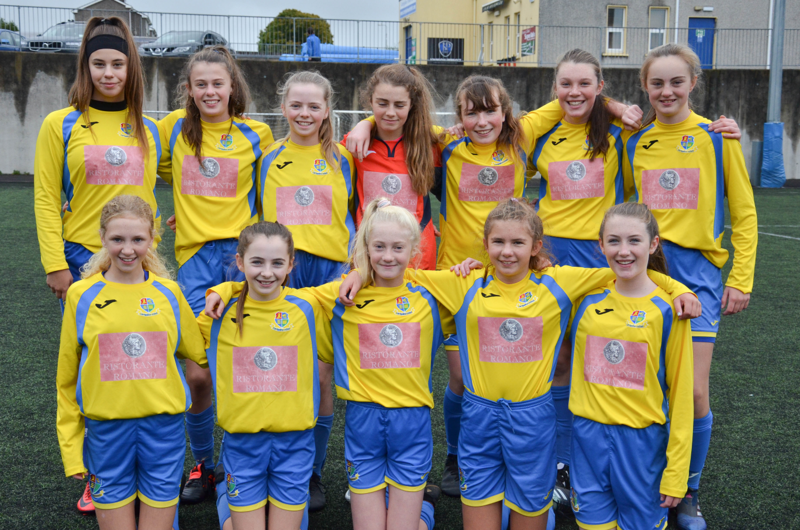 Carrigaline made it two wins from two in the CWSSL U14 Premier league following an exciting 4-2 win over Wilton at Ballea Park last weekend but had to fight hard for their victory which puts them on top of the league table. Both teams won their opening games of the season, but it was the home side who applied the early pressure in an attempt to get an early goal, Eva Mangan’s chance from outside the area going wide and another effort from Lea Cosic who headed wide from a corner. 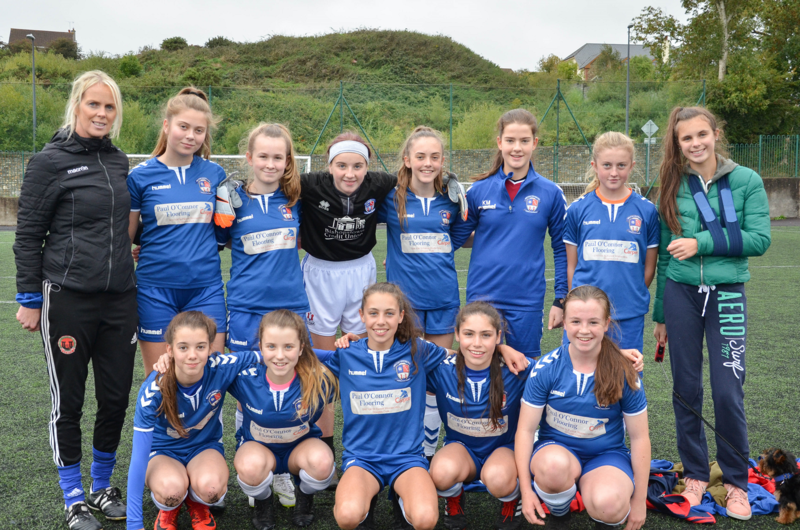 However, in Wilton’s first attack they scored when Ava Ronan managed to outrun the Carrigaline back line, and with the keeper coming out, managed to slip the ball into an open net from 15 yards for the opening score. Their lead did not last long, as within three minutes the home side equalised when Lea Cosic drove through the centre and slotted the ball into the net. Carrigaline pressed forward, and two goals in the space of two minutes appeared to put the game beyond Wilton’s reach. Eva Mangan’s corner was met by Aoife McIvor who made no mistake from 8 yards in the 19th minute followed by Heidi Mackin’s effort which came off the post and into the net following a Wilton goal kick to put Carrigaline 3-1 up within 21 minutes of play. Wilton responded well, and managed to get one back five minutes later when Carrigaline were unable to clear the ball on the edge of the area as it fell to Ava Ronan whose low shot went into the bottom corner. Carrigaline came back again, and were unfortunate not to get a fourth when the Wilton defence managed to clear off the line as the teams went in at the break. A more determined Wilton side came at Carrigaline following the restart looking for the equaliser as the home side managed to soak up the pressure, clearing the ball from the six yard box as early as the 37th minute. Play was now going from end to end – Wilton keeper Amy Noonan saving well from Carrigaline’s Eva Mangan in the 43rd minute followed by Wilton’s Caoimhe Golden’s header well saved by Holly Fitzgerald in the Carrigaline goal. As time went on chances on goal became fewer, but you could cut the tension with a knife as Wilton looked for the all important equalising score as Carrigaline were hanging on. However, it was the home side who finished the game the stronger and scored a fourth in the 62nd minute when Ellie O’Brien beat the Wilton offside trap and ran through and stabbed the ball home. 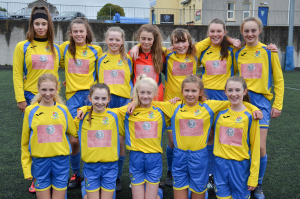 The goal gave Carrigaline much needed breathing space in the closing stages as they restored their two goal advantage and even had the luxury of two chances on goal from Ava Mangan which were cancelled out by Wilton’s Amy Noonan as the home side claimed the win and all three points.